Welcome to Imprint Friday. On a normal Friday, you'd be reading about a don't-miss title from one of my favorite imprints. And, in fact, I have a post already written about a book you will not be able to put down (hint: it's from Amy Einhorn Books). However, because so many people are still offline in the aftermath of Hurricane Sandy, I've decided to delay that post until next week. Instead, I want to look to the future. It's hard to believe that next month is the third anniversary of Imprint Friday, which started out showcasing every book published under the Amy Einhorn Books imprint, which remains at the top of my list of outstanding imprints. Over the years, I've added other imprints that publish book after book I can't wait to read and share with you. This past year has seen quite a lot of changes in my small corner of the publishing world. Some are huge (the Penguin-Random House merger) and some are small (publicists and marketing managers moving on to other jobs). In addition, I've become fond of other imprints whose catalogs for the coming seasons are just too exciting to ignore. So what does this all mean? 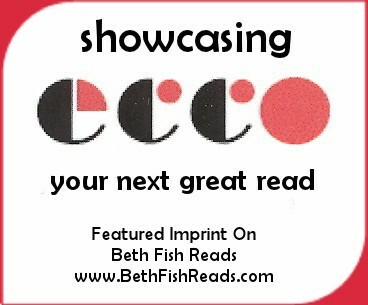 I'm still absolutely committed to the imprints I've featured here on Imprint Friday and on Today's Imprint Read (very sporadic Tuesdays). I will continue to keep you up to date with quality fiction and nonfiction in a range of genres from those imprints. However, I plan to mix things up a bit, bringing some imprints into the foreground while letting others take a temporary backseat. I also plan to change the format of my Imprint Friday posts from time to time, taking occasional breaks from standard reviews to write features, share videos, conduct interviews, or offer author guest posts. Finally, I'm working on adding one more imprint. I hesitated about this, because my intention with Imprint Friday is to feature the imprints that I recommend without hesitation and that make up the vast bulk of my personal reading list. I don't consider this feature to be a gimmick or just another way to review books or share good reads. Imprint Friday is my way of endorsing imprints I want to hand sell. At the same time, during the last three years, other imprints have, naturally, caught my eye. Thus I'm taking the leap to make these changes. 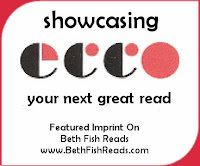 If all goes as I think it will, I'll introduce a new imprint to Beth Fish Reads soon, maybe as early as December. I should make it very clear that Imprint Friday could not exist without the help and backing of the imprints in question. I can't begin to tell you the support I've gotten from Amy Einhorn, Ecco, Harper Perennial, and Algonquin. The publicity/marketing staff at these imprints are simply the best. Imprint Friday is truly a joint venture, which makes it such a pleasure to share the books from these imprints. The same goes for Riverhead Books and Picador USA, both of whom have been part of my Today's Imprint Read feature and will now be seen more often on Fridays. I'm excited about these changes and hope you'll be sticking around for the next three years. Darn you! I want to know what the next blowout AE is!!!! I am consistently amazed at how she picks them. I love all your imprints, but hers is the one that just hits them out of the park again and again. Like I always say, this is as close to a sure thing as you're going to get. I'm with Sandy.... What is it? I look forward to seeing what you come up with in the future! gonna stay right here .. where else can i find great book reviews and perfect book recommendations? I can't wait to see what you bring us! You know how impatient I am! Can't wait to see what you have in store. I always love reading these posts, and I can't wait to see how you vamp them up, as well as well as the new imprints you are bringing us! I am intrigued... keep up the good work. I look forward to whatever is coming! The Amy Einhorn imprint alone is worth coming back to your Imprint Fridays!! I'm not going anywhere, and I appreciate that you help broaden my horizons on what's available to read. Thank you!! I am intrigued too! I need to look for your review of The Art Forger. This post just reminded me! You've chosen your imprints wisely in the past (you can't go wrong with Amy Einhorn and anything from Harper), so I look forward to your new choices. I love Imprint Friday and especially Amy Einhorn. I made my own Amy Einhorn Perpetual Challenge to read everything she prints. I have not been disappointed yet! Elizabeth, why read Amy Einhorn on your own, join over 100 people the perpetual challenge I started in 2009.
sounds like some good changes. i like this feature and look forward to what you'll have in the future.